100 Days into Trump presidency, where is Peter Thiel? One month after winning the election, Donald Trump sat at a long conference table with top executives from tech giants like Apple, Google, Facebook and Microsoft. Before Trump kicked off his remarks to the powerful group, he focused on the man sitting next to him: Peter Thiel, the billionaire investor and Facebook (FB) board member who helped organize the meeting. "I want to start by thanking Peter because he saw something very early, maybe before we saw it," Trump said. He then grabbed Thiel's hand with both of his own and added: "You're a very special guy." Thiel, known for being a contrarian, was the one prominent figure in the tech industry to endorse Trump early and often. He spoke at the Republican National Convention and donated $1.25 million to the campaign. He was ridiculed by some in progressive Silicon Valley for his support. Then Trump won. Suddenly, Thiel seemed like the strongest -- and perhaps the only -- bridge between tech and Trump. But President Trump's "special guy" has been largely absent from the industry's dealings with Trump during the first 100 days of the new administration, according to interviews with tech lobbyists and trade groups, several of whom spoke on condition of anonymity. One lobbyist put it bluntly: "I have seen no hands of Peter Thiel in any meeting that has happened in the first 100 days." Others say there just hasn't been much tech policy for Thiel to influence. "I think he is the main contact with [the] tech community," says Charlie Black, a former lobbyist for Trump, whose firm Prime Policy Group works with Google (GOOGL). But there's "not a lot of policy developed yet." Jeremiah Hall, a spokesman for Thiel, did not respond to multiple requests for comment. Reps for the White House did not respond to a request for comment. The tech industry has already clashed with the Trump administration over the travel ban and rollback of transgender protections, but those aren't technology issues, strictly speaking. Some speculate Thiel may get more involved if and when policy battles heat up over H-1B visas, international trade and surveillance. But Thiel may also buck the industry on certain fights. In 2014, for example, he spoke out against net neutrality, a policy many tech companies are now fighting to save. "I think people are still very hopeful he will have the president's ear when it comes to the tech industry," says Stewart Verdery, a lobbyist with Monument Policy Group, which works with Amazon (AMZN), Snap (SNAP) and Microsoft (MSFT). "There just hasn't been a come-to-Jesus moment yet." Another source who works with tech companies on government issues is less optimistic. Thiel, the source says, is "the quarterback everyone wants to get the play into." 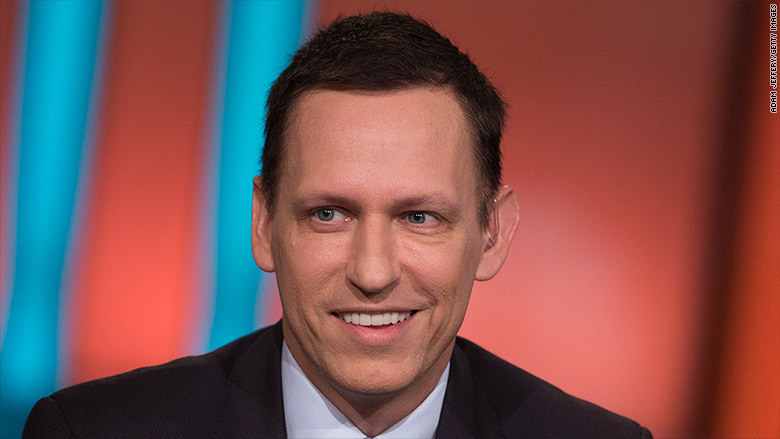 But Thiel may be more focused on his work with Facebook and Palantir, a data software startup he cofounded. Several sources say the most promising early inroads to the Trump administration have been officials like Gary Cohn, White House chief economic adviser, and Grace Koh, special assistant to the president for technology, telecom and cybersecurity policy. The number of alternative gatekeepers to the president is limited by Trump being slow to fill positions in the federal government. 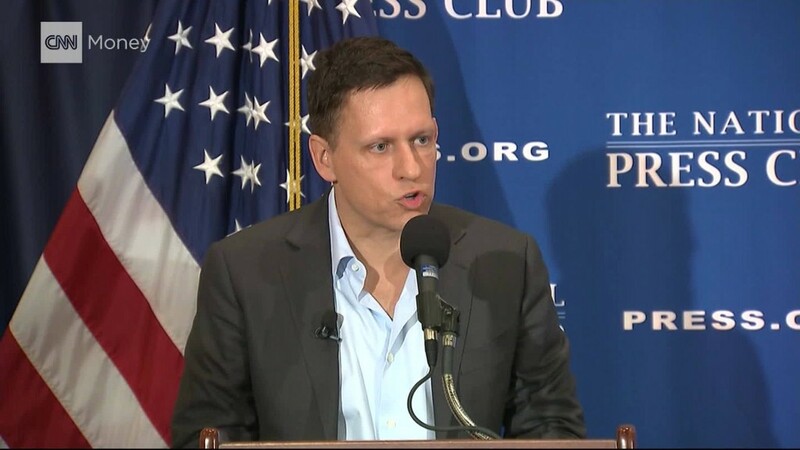 But a few Thiel allies have been added to the administration. Michael Kratsios, former chief of staff at one of Thiel's investment firms, has taken over as deputy U.S. chief technology officer. Kevin Harrington, former managing director at Thiel Macro, was appointed to Trump's National Security Council. And Justin Mikolay, formerly an "evangelist" with Palantir, has joined the Department of Defense. Thiel's only official role with Trump to date was as a member of the transition team. In that role, he helped arrange the tech CEO meeting and brought on some members of his circle. "There is an opening to think about some of our problems from a new perspective," Thiel said in one interview right after the election. "I'll try to help the president in any way I can."